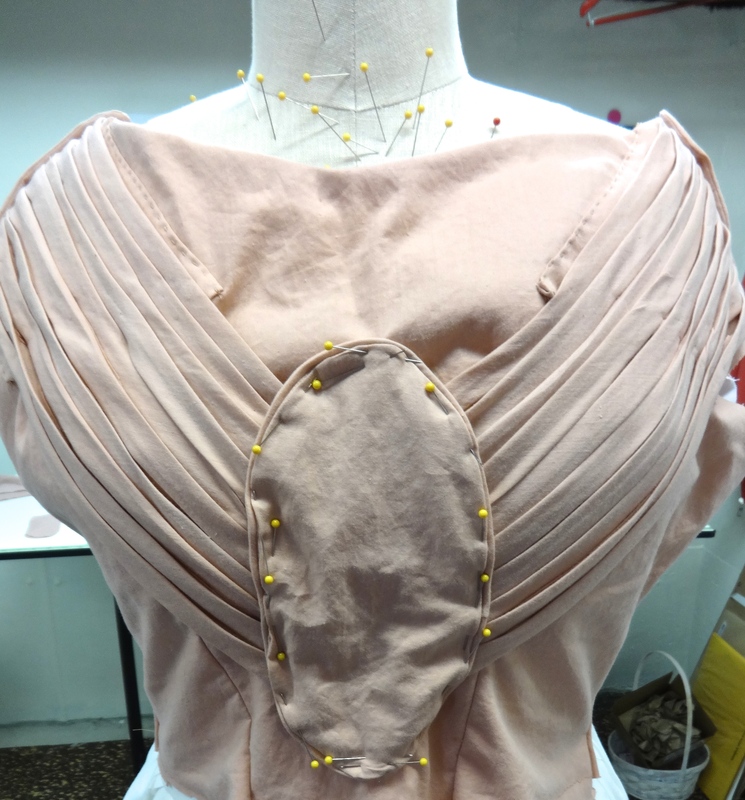 So I have been slowly but surely working on the corally-pink pleated gown. 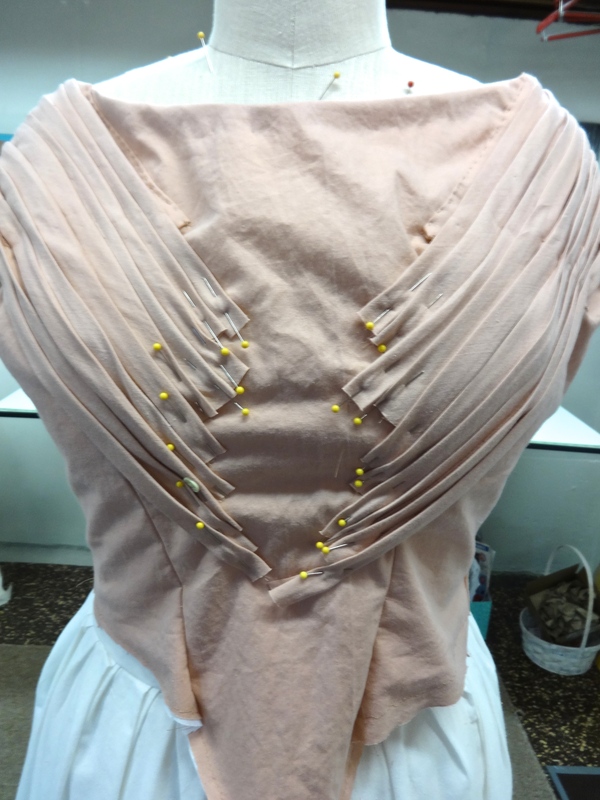 After I basted the pleats onto the shoulder, I hand stitched them at certain points to make sure they stayed in place, as well as stitched the ends of the pleats so they would lay flat. This part was very time consuming and I stuck myself four times with the result of my fingers becoming clumsy from all of the bandaids…the life of a sewer! 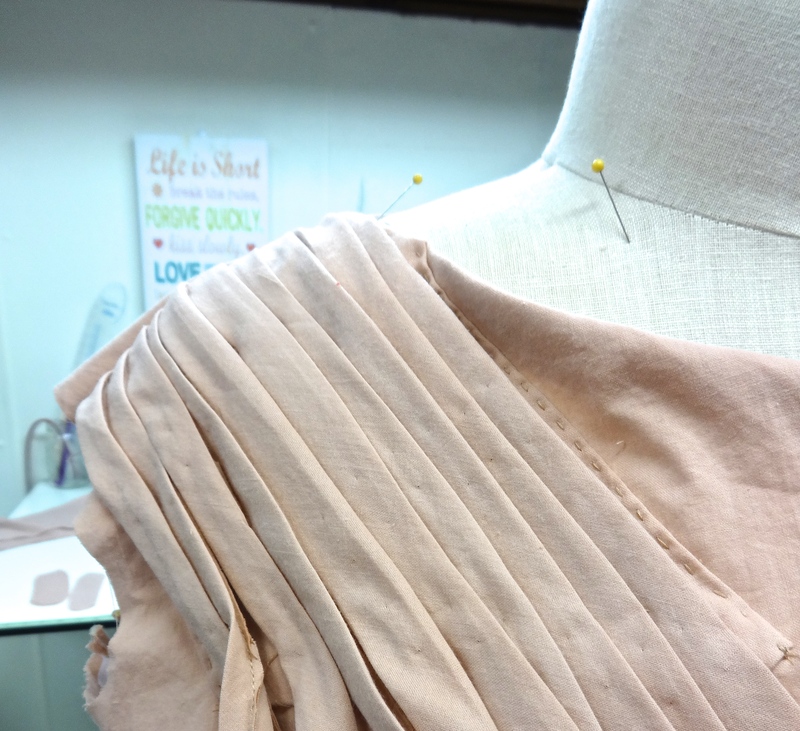 Than I made three oval pieces to put over the edges of the front pleats and to go over the shoulder seams. 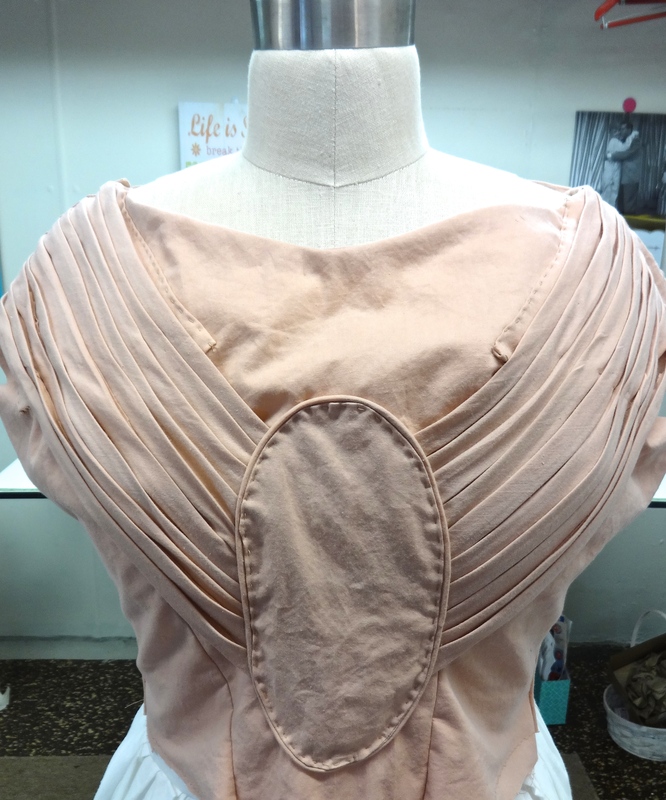 The front piece I edged in piping. 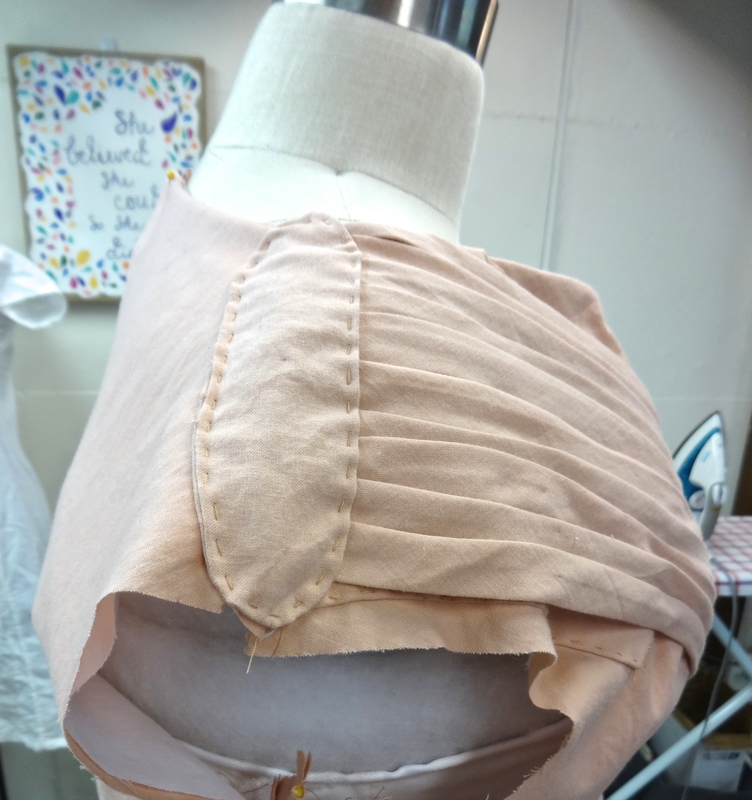 I did a simple running stitch along the outer edges of the three pieces. 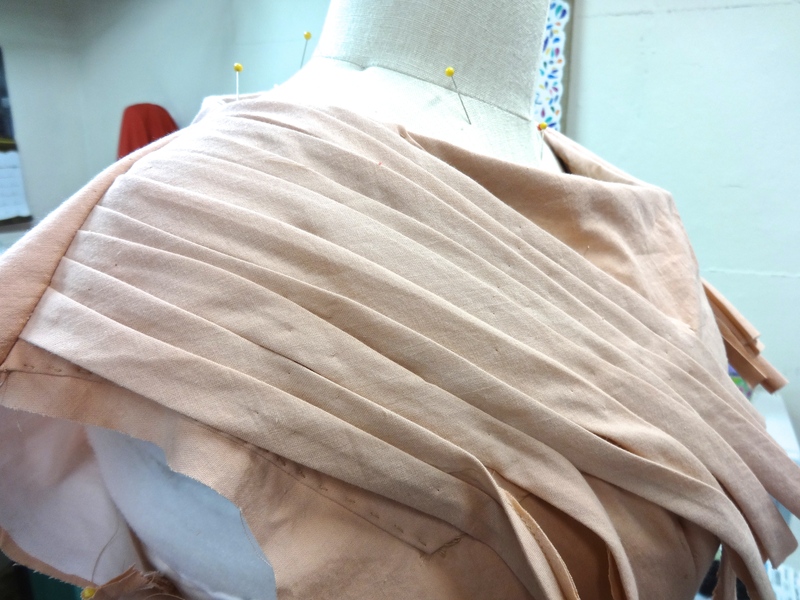 The next step is to attach the sleeves. Stay-tuned!! Hi! I used the Patterns of Fashion book by Janet Arnold as the main reference for the gown.